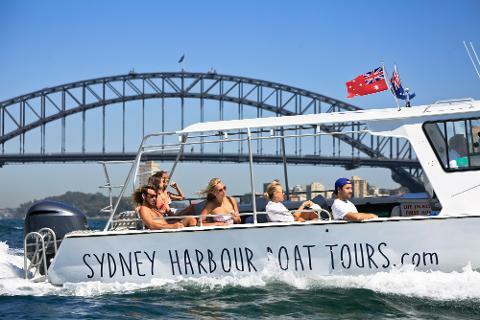 Celebrate Australia Day with family or friends on our half-day harbour experience. See all the action, then visit beautiful Watsons Bay for a beachside lunch, with swimming or a drink at the iconic local Watsons Bay Hotel (with music and activities). On 26 January each year, Australians celebrate their national day. 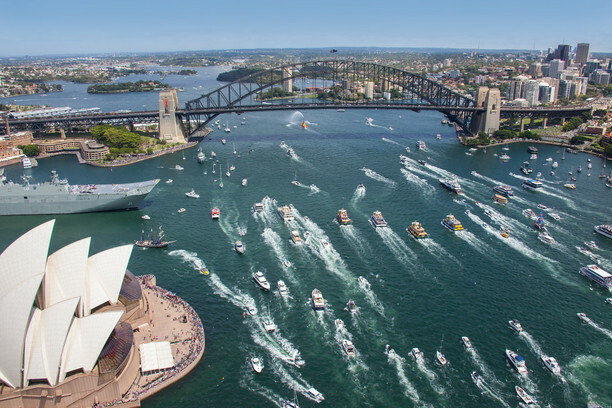 It's a massive day on the harbour with ferry races, maritime and aeronautical displays, music and fun, and there’s no better place to be watching at close quarters on the water, among the action. After the harbour celebrations and races we’ll take you on a quick tour of the harbour and head to picturesque and historic Store Beach and Quarantine Bay for take-away lunch, plus wander or swim. Experience this historic and action-packed day aboard an open, beach accessible 8.5m boat with a knowledge local skipper / guide. We provide a snack, bottled water and soft drinks. Lunch is not included, but you can BYO on the boat - we have a 90 litre esky with ice.